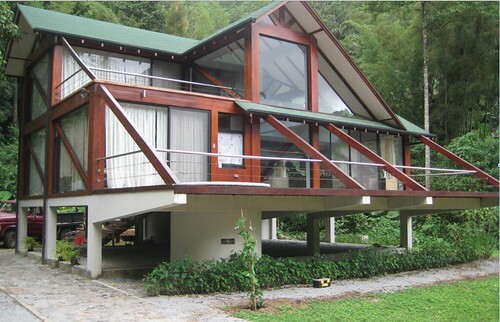 Tag Archive | "mindo real estate"
A Mindo Ecuador house liquidation may have become even better. 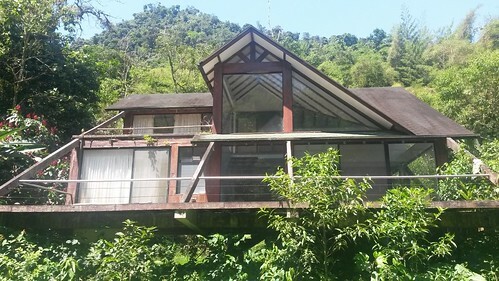 Last Monday, we posted a listing (shown in a moment) from a subscriber who has a desperation sale of a house in Mindo Ecuador. “Long time no speak. Good to see you are still out there beating the drum for Ecuador! I couldn’t help but notice your advertising of the house in Mindo. Just in case you don’t know, the photos shown in your newsletter are many years old. Attached are some more recent shots, which will probably be useful for you. Whoever buys it needs to bring a pot of paint and a machete. 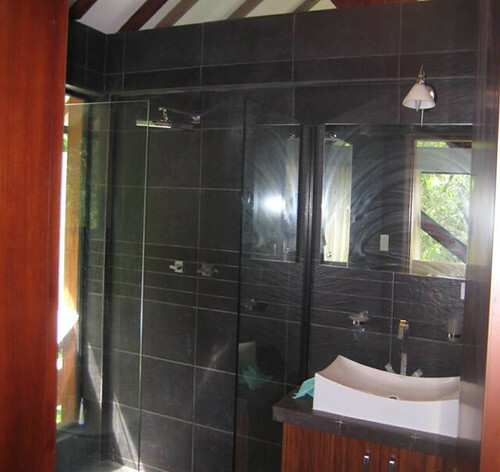 Here are the photos the subscriber sent that show the current state of the house. Otherwise, the house is structurally intact and stable as all the internal walls, pillars and beams are made of brick and concrete, with steel re-bars. The repair estimate is approximately $15,000. 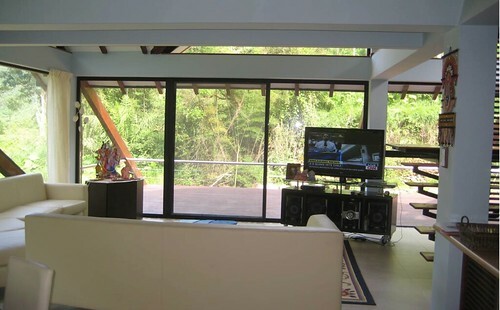 Thus, we feel that the reduction in the price to US$55,000 is fair to any potential buyer. 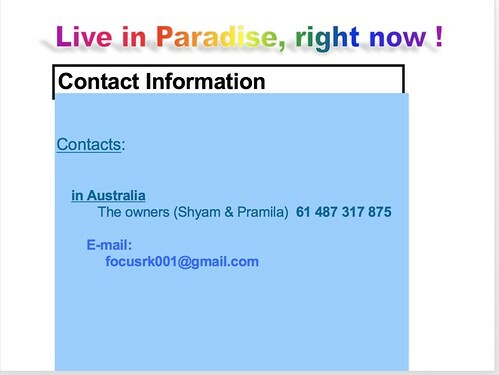 Unfortunately Shyam is medically unable to travel currently, to Ecuador to implement these repairs himself. Please accept our apologies as we were not aware of the present condition of the house, which has come to our knowledge only today. Please re-consider our proposal based upon these new findings and please advise us as to whether you are still interested at the new price.. 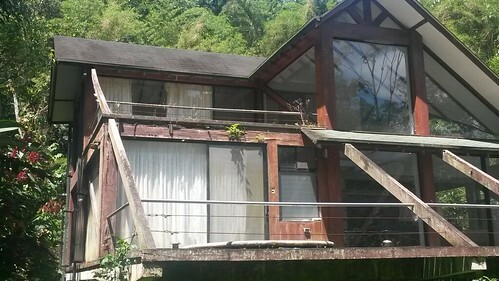 This makes this offer an even better opportunity in Mindo Ecuador for someone who desires a fixer upper. I show the original offering below so readers can see the house’s potential. This is a distressed home sale in the Mindo, Ecuador cloud forest. on the San Antonio River. A reader had medical problems shortly after completing construction of this house in Mindo. In desperation, they have dropped the price more than $145,000. This is an utter bargain for the one right person who wants luxury, but also desires privacy, jungle richness and pure nature. The structure and location is totally unique. Imagine a hot tub in the forest. This is a perfect juxtaposition of luxury and nature. 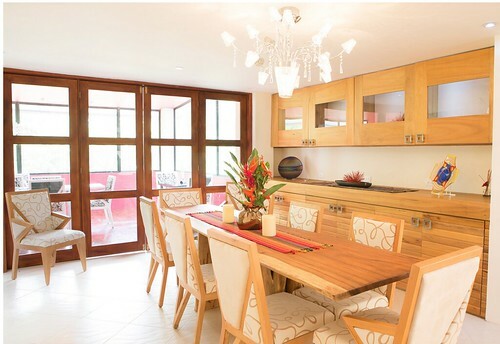 There is luxury in every room, from, living room to. You sleep with the whisper of nature at your headboard. Even the office is linked to nature. Pramila Tripathi this note: We are now willing to sell our house for $70,000. Although our total cost of construction was $245,000 we are willing to part with the house and full furnishings for less this huge reduction due to our desperate financial situation. Shyam had to retire from his Post Office job, due to the continued weakness and pain in his left limbs and body. I have also had to retire as a ‘Carer’ for Shyam, as he sometimes has a tendency to fall over due to a stroke he had two years ago. We are both only on a pension payment which is just enough to pay our rentals and put food on the table. Make your Mindo trip a spa visit! 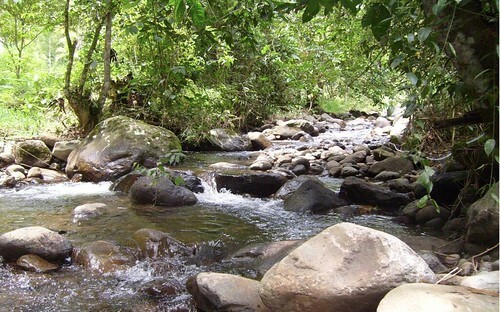 The Flowing River Resort (www.theflowingriverresort.com) is in the western foothills of the Andes mountains in Ecuador’s first Eco Preserve. you won’t want to miss. The jungle here is exquisite; lush, misty, it rains a little every day, the temperature is temperate, warm but rarely hot, never over 30 degrees celsius i am told. Every kind of fruit, vegetable, plant and tree grows here. 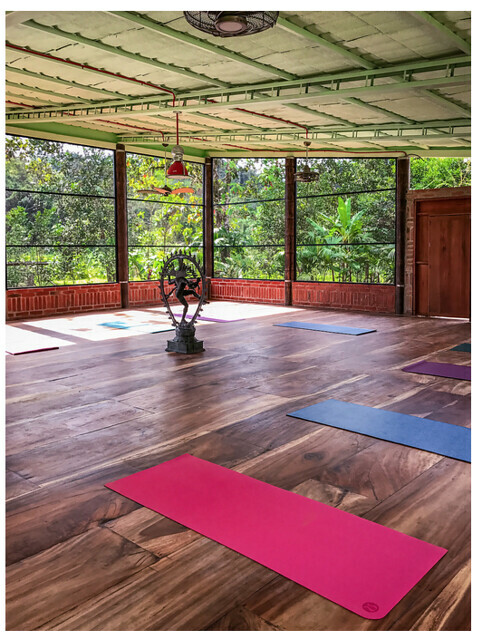 The resort, built and run by Cynthia Martinian, is growing moringa, turmeric, ashwagandha, pineapple, papaya, guava, cheremoya, etc with plans to eventually grow all of the Ayurvedic herbs. It sits on a fast moving but shallow river and there are waterfalls nearby. There are 1932 species of bird here including dozens of different types of hummingbirds. The staff is professional and attentive to our every need. The food is world class. 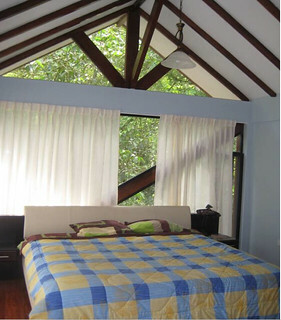 The rooms are spacious, private and comfortable. Most have king beds and a couple have bunk beds. This would be a perfect spot for any kind of retreat anyone would like to offer. 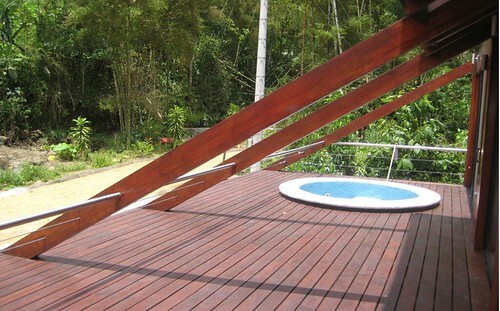 It would be the perfect spot for extended meditation, bird watching/eco tourism, or just a vacation adventure. 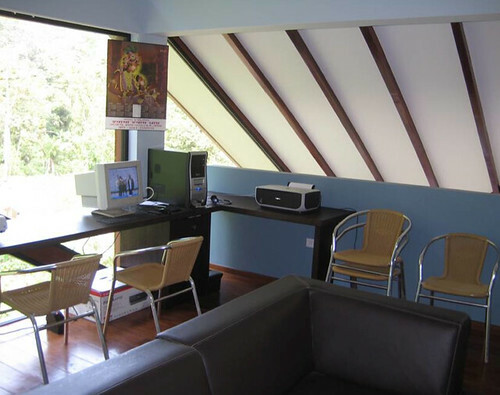 It is remote, about 4 hours from Quito airport. There are only small, rural villages nearby. The closest large town, and it’s not even that large, is Mindo, the famous eco tourism town in the Intag. The Flowing River offers an a la carte spa, a 2000 square foot yoga studio, community arts and crafts, and fresh, nutritious meals catered to fill any indulgence or dietary restriction. This is a place for deep healing, self-empowerment, and peace of mind. 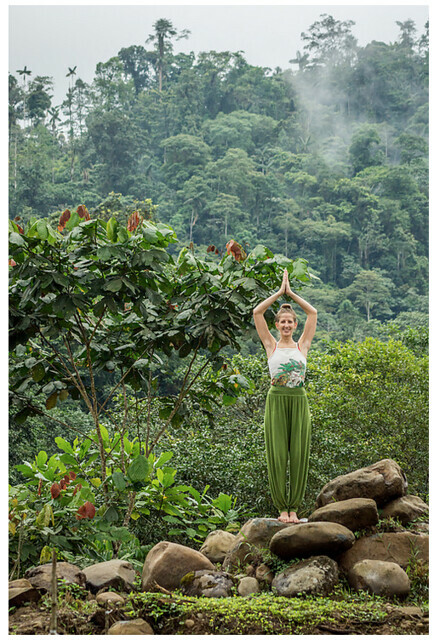 You can immerse yourself in Mother Nature’s healing power, tucked deep within an oxygen-rich, cloud forest of northern Ecuador. 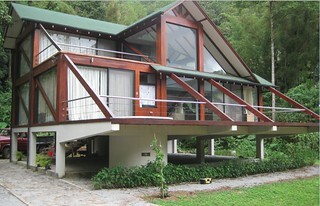 Here is an incredible house opportunity in Mindo Ecuador. 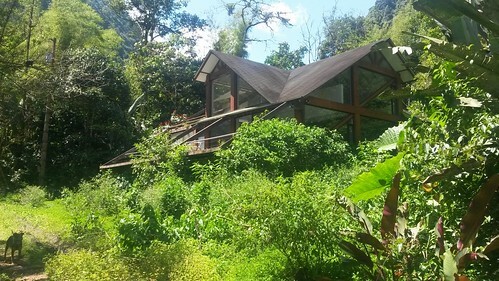 The Flowing River Resort (www.theflowingriverresort.com) in the western foothills of the Andes mountains in Ecuador’s first Eco Preserve. Two ways to reduce stress. 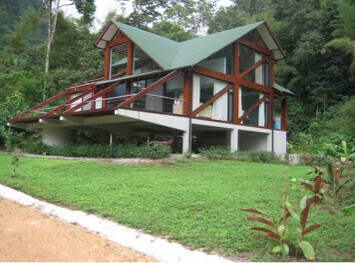 Distress home sale in Mindo, Ecuador cloud forest. 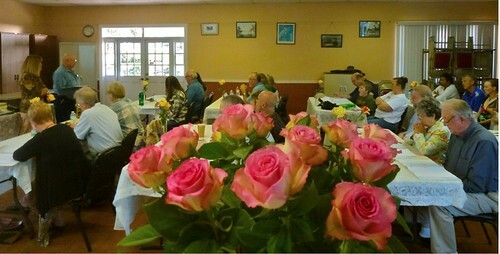 We just finished our Writer’s Camp and looked at three ways to reduce stress (Meditation, L-Theanine and Baroque Music) so we can write better. One big way to remove stress is to live in a natural cloud forest. We’ll look at this house that’s truly away from the maddening crowd in a moment. First, let’s look at a small way to have more calm in a turbulent world. “It only requires a pen and paper, and it’s terrific for helping you stay calm when insanity surrounds you.” Sandra Strait. Yesterday’s message “Socially Acceptable Wealth” showed how my baby sister (Sandra Strait) has received over 12 million visits (12,238,939 to be exact) at her website and various social media. There were two links in that message. One link was to “a Noteworthy Interview With Sandra Strait” and one to Sandra’s website. Both links were wrong. Sorry! This time, however, the links are right! A reader had medical problems shortly after completing construction of this house in Mindo. They have tried to sell it at their cost for years. The timing could not have been worse with the 2009 recession. Finally in desperation, they have dropped the price more than $145,000. This is an utter bargain for the one right person who wants luxury, but also desires privacy, jungle richness and pure nature. Merri and I visited this house years ago. The structure and location is totally unique. Imagine a hot tub in the forest. Pramila Tripathi this note: We are now willing to sell our house for less than $115,000. Although our total cost of construction was $245,000 we are willing to part with the house and full furnishings for less than half the cost, due to our desperate financial situation. Shyam had to retire from his Post Office job, due to the continued weakness and pain in his left limbs and body. I have also had to retire as a ‘Carer’ for Shyam, as he sometimes has a tendency to fall over due to a stroke he had two years ago. We are both only on a pension payment which is just enough to pay our rentals and put food on the table. The Architect for this house Mario Arias (tel: 593-9858-329-27), has been very kind to us and taking care of the maintenance of the house and showing the house to potential buyers.. Could you please advertise the house for us on your website. We owe nothing on the house and we have in our possession all the legal documents. Attached is a Powerpoint presentation of the house. There you have it, two ways to reduce stress, big and small. Pick up a pen and paper or move to an Ecuador cloud forest. Whatever works for you, Merri and I hope these ideas help you live in a more comfortable world. 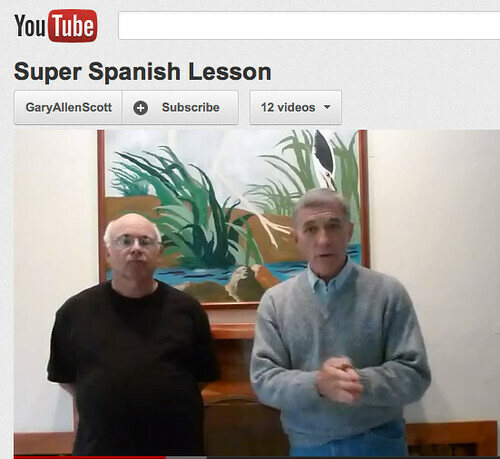 Merri and I have been early adapters in the self publishing field for over 45 years. When we see the glimmerings of a really new, powerful idea, we do our best to get a head start and immediately jump on board. This is the way to maximize profits and establish one self as a leader in new technology. The goal of “Self Fulfilled – How to Self Publish” is to help readers get into the very beginning of new trends. The internet has created the broad band era where smaller is bigger. We are in a perfect position to help because we have self published for 45 years and developed the 7P fundamentals of publishing that always work: Reach, Engage, Focus, Monetize. Whatever change takes place in the publishing world, the 7Ps create opportunity for micro businesses. The 7Ps identify, reach, engage, focus and solidify buyers at a profit. These 7Ps are: Passion – Problem – Person – Product – Prospecting Path – Promise – Presentation. 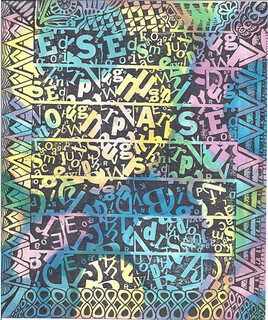 The 7Ps reflect an immutable logic that worked in paper direct mail before computers. The 7Ps worked with computerized Cheshire labels. The 7Ps worked with jet printing on envelopes and personalized emails. They work for websites and blogs. They work at Amazon.com. 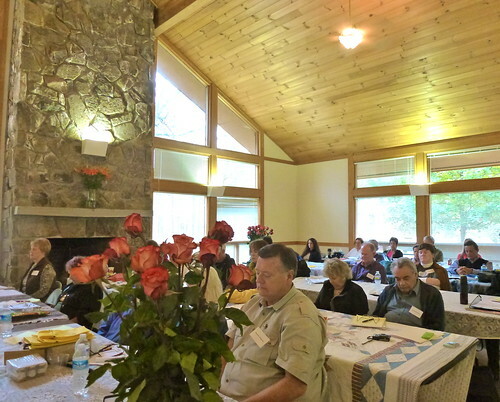 Our Writer’s Camp and online Self Fulfilled delegates and Event Full subscribers are using the 7Ps successfully right now at Amazon.com and in numerous micro businesses. The 7Ps will work even better in this next communications revolution. Learn how to get in early on the next self publishing technology using the 7Ps. Changes are taking place in the internet world. They will not shift overnight. No one is totally sure of the end product… but that change is starting now. Technology favors self publishers today. Portable computers, the internet, wireless access, on demand printing, smart phones and electronic readers all create enormous new, quick earning potential for self publishers. In “Self Fulfilled – How to be a Self Publisher” Merri and I give away every publishing secret we know to write to sell for a solid income. 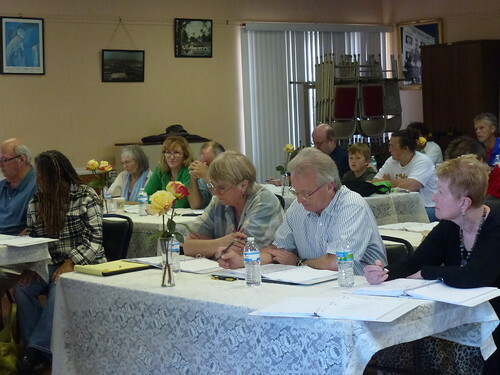 Our self publishing course is updated regularly. No course on self publishing can remain valid for long in this era of rapid change. The course is based on our actual the trial and error experiences that Merri and I have had for the past 45 years… and continue to have. We are continually adapting our business as the industry evolves. Our course helps readers evolve with us. To help you start, I have created a special offer… our course on how to be a self publisher, our course on how to use the internet and a website in your business and three bonuses for you. Bonus #1: Get the 50 minute Video Workshop worth $99 “How to Start Your Own Internet Business” presented by our webmaster David Cross. Bonus #2: Get FREE, the $299 online course “The Tangled Webs We Weave – How to Have an Internet Business”. If you’re not completely convinced that this information is so powerful that it can help you quickly develop income through writing to sell—all you have to do is let us know and you’ll receive a complete refund of every penny of your investment. Our publishing business has brought us more wealth, satisfaction, fun and friendship than we ever imagined possible. And now we want to share our knowledge and secrets with anyone who has a desire to experience this way of life. Whether you are an engineer, doctor, housewife, business owner, or retiree… self-publishing offers a way to make a six- or seven-figure income by turning your passion into profit. Don’t miss this special opportunity. Order Self Fulfilled How to be a Self Publisher today if you want to cash in on the satisfying, profitable and exciting lifestyle that publishing can bring despite and in fact because of trouble in the world.